Today is Wednesday, which means I write my Saturday column. During the morning hours, I take my wife shopping. No, I don’t go into the shops with her. She always tells me she enjoys it more if I’m not with her, so I sit in the car hoping to bump into some friends walking by. This day I kind of lucked out. I met three Nisei guys who spotted me. “Hey, Horse, what’s doing?” was the question tossed to me. “Aw, I’m just waiting for my wife to finish her shopping” is what I tell them. They laugh and go on their way. While she is shopping, I ordinarily scribble notes for my column. No, the car is not really the best place to put together a column, but it does get my mind rolling and takes my mind off of the wife doing her shopping. One thing a little different today was one of the tires on my car was getting low on air, so since I was close to Sears in Torrance (where I have a credit card), I decided to have it checked out. There was a Japanese-looking guy on the staff, but he didn’t approach me about what my problem might be. Instead a tall Caucasian approached me. When I explained about the low air in one of the tires, he took it off the car and examined it. “You need a new tire and a new wheel,” he said. He took a catalog and showed me what each would cost. The total came to over $400. Yeah, I was stunned. I was thinking somewhere in the $50-to-$75 range. I told him I would be back tomorrow and settle the price. All he could say was “Okay,” because I had already signed the papers on the cost. But, I guess when one gets older (like me), we don’t look at all the possible ways to work out situations like these. There are some things I did learn from this situation. Oh yeah, on Thursday evening, I’ll be going to the Mahalo (Thank You) Party hosted by The California, Fremont and Main Street Station Hotel and Casino. The three hotels and casinos have a lot of JAs as clients, so each year, to show their appreciation, they stage the thank-you party. Yes, a lot of folks who now live in Southern California are former Islanders, hence the term “mahalo” is used to thank them for their patronage. I guess in next Tuesday’s Rafu, I’ll be able to touch on the Mahalo Party. I’ll be gathering information on the affair and mention some of the people I run into. Hope to bump into some of you. Oh, yeah. Before I forget, I have to thank Tak Hamano of Umeya Company. He donates fortune cookies to the guests of the Mahalo Party, which is always a big hit. Well, I just glanced at the clock on the wall next to my computer and the hands read 8:20 p.m., which means I’m running more than a little late. The materials always seem to change from the morning hours and going into the afternoon. Things were so different when I used to write four and sometimes five columns a week when I was at The Kashu Mainichi. Now, writing twice a week kind of throws my thoughts into the wind. Speaking of writing, since he is with The San Jose Mercury News, he doesn’t get much recognition in Southern California, but Tim Kawakami is one of the top sports reporters in Northern California. His bylined stories in The Mercury News get top billing almost daily. It’s not only because Kawakami is a JA; he has a lot of talent. If we had a JA writing for The Los Angeles Times, he would really get a lot of recognition in the JA community. It always makes me curious why there are not more JA journalists. Perhaps someone could give me their thoughts on that. 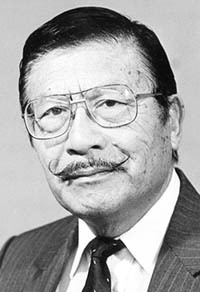 Think of all the great JA journalists we had, like Bill Hosokawa and those who wrote for all the JA publications. Can you imagine what it would be like if The Rafu Shimpo disappeared from the scene like Kashu Mainichi, Shin Nichi Bei, Hokubei Mainichi and Nichi Bei Times? Perhaps it’s because JAs are not pursuing journalism as a career. Heck, these days if you asked a JA to name a dozen JA journalists, they would have a difficult time doing so. Yes, one of the sources for me to gather material to write a column is other newspapers. I would guess that I read about half a dozen newspapers from all over the country, and one thing I notice is that most of the newspapers carry the same type of stories. Needless to say, crime stories capture the attention of most of the editors for the various publications. Does the readership really take to crime stories? I guess if they are played up, crime stories do attract the attention of readers. I guess I don’t belong in that category. Maybe if there’s a Japanese name involved, I might glance at the article a little more closely, but otherwise I pass. This makes me a little curious. Do Japanese readers tend to read new stories that are tinted Japanese? Perhaps The Rafu, when it is short of news, can take a survey among its readers on this issue. Do Rafu readers get drawn to news items with a Japanese twist to them or do they read “regular” news stories? Me? Yes, I am attracted to news stories with a Japanese twist. Heck, if I just wanted to read “the news,” I’d look through every newspaper available. Isn’t that why Japanese columnists are read more frequently than non-Japanese writers? Well, I guess that just about winds it up for today. After reading The Rafu’s Holiday Edition, which came out this week, I realized that the staff put in a lot of time. I used to hope the editorial staff would ask me to contribute to the Holiday Edition, but no such luck. I guess they don’t need the thoughts of a tired old Nisei who is hitting 90 years in age. Now, I guess nobody needs the opinion of an old man, which makes me wind up with my usual, heh, heh. Tim Kawakami used to write for the LA Times and covered the lakers during the Shaq-Kobe championships. He wrote a book about the 2000 World Champions Lakers and another book on Oscar De La Hoya. Tim was a great writer and not sure why he left the LAT.